These wines go fast.. so don’t hesitate in ordering yours today! Just in time for the holidays, our five decadent Cru Specialty seasonal releases are available for a limited time at your local RJS Craft Winemaking retailers. This year’s line up also features a NEW flavour, crème brûlée! Each kit makes 12 litres of the most delightful dessert wines, ready to enjoy in just 6 weeks. 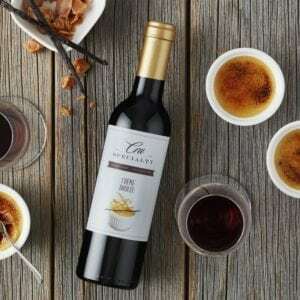 Cru Specialty wine kits offer a decadent dessert wine experience – because special meals are best completed with something sweet. 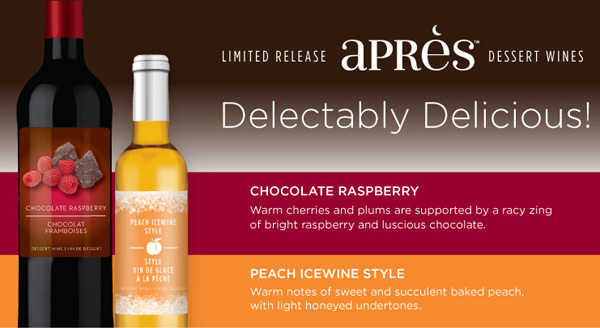 Read on to learn more about each of the limited release dessert wines, and our pairing recommendations. Ps. If you’re looking for gifting ideas, these make for wonderful holiday gifts or wedding favours *wink wink*! Pair with crème brûlée (no surprise there! ), fruit tart, and apple pie. Bursting with rich aromas of red and dark cherry, this full-flavoured dessert wine also has a delicious chocolatey finish. Pair with cherry Brownies, or cherry jellyroll cake. Notes coffee, burnt marshmallow, and chocolate will entice you and follow through to a palate which finishes with lingering notes of vanilla. Pair with coffee truffles or coffee cake. Intensely creamy and pleasantly sweet, this full-bodied dessert wine combines rich caramel aroma with the robust flavors of red fruit. The buttery caramel notes give this wine a roundness and texture on the palate. Pair with salted caramel nut brittle, Comté cheese, or apple cake with caramel glaze. 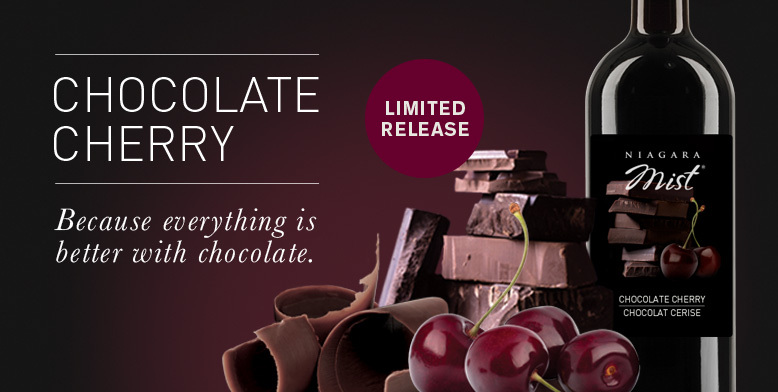 Aromas of dark chocolate and coffee blended with ripe, juicy raspberry. Sweet on the palate with nuances of cocoa powder and coffee. Pair with raspberry chocolate mousse, or ganache and raspberry tart. Vineco and Winexpert Dessert & Ice Wines for the 2018 Season!